Follow the safety tips below if your vehicle has broken down on the side of the road. If your car breaks down on the road, you should first try to leave the roadway to prevent a rear-end collision. However, if you cannot drive to the next exit, consider pulling your car onto the right-hand shoulder of the road at the earliest possible. Follow these steps to ensure your safety while you are waiting for assistance. Move your car along the shoulder and try to park it in a position that is away from any curves on the road. That way, you can clearly notice the oncoming traffic from your car. In most cases, when your car breaks down, you may have enough momentum to get your car off the road. If it is not possible to drive to the side of the road, do not get out of the vehicle. Getting out of the car on a busy highway could be dangerous. Turn on an interior light, so that other drivers can see your car from a distance. Turn on the hazard side lights. If possible, keep the engine running to avoid running the battery down. Avoid standing by the side of the car exposed to ongoing traffic. If possible, pull the car to a safe position away from the traffic. Use the emergency blinkers, so that other drivers know that your car is in trouble and not moving. Using the blinkers at night, however, may not be a good idea. The emergency blinkers may give the signal to other vehicles that your car is still on the move, causing a collision from cars coming from behind your vehicle. 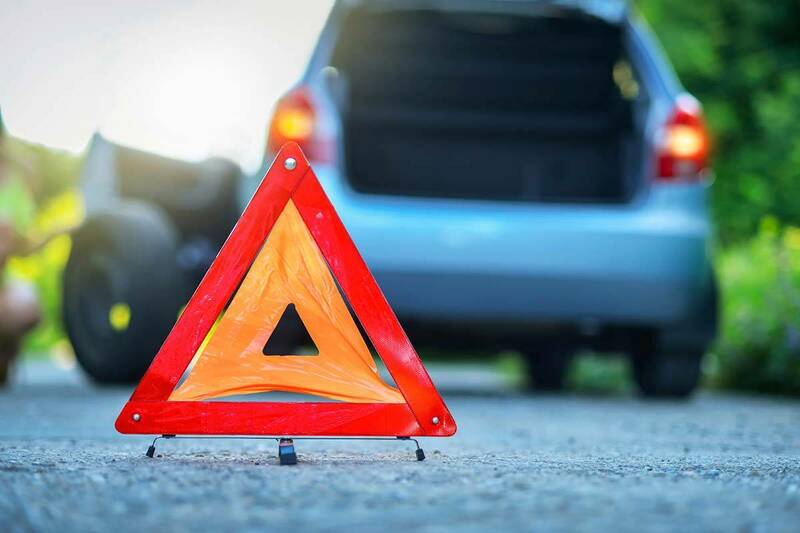 If your car breaks down at night and the traffic on the road is not very heavy, place reflective markers or warning lights on the road, preferably 5-6 feet away behind the car. (Read additional safety tips here). Contact a St. Louis auto accident lawyer if you have been injured by a negligent driver. Call The Hoffmann Law Firm, L.L.C. at (314) 361-4242 to learn about your legal rights.